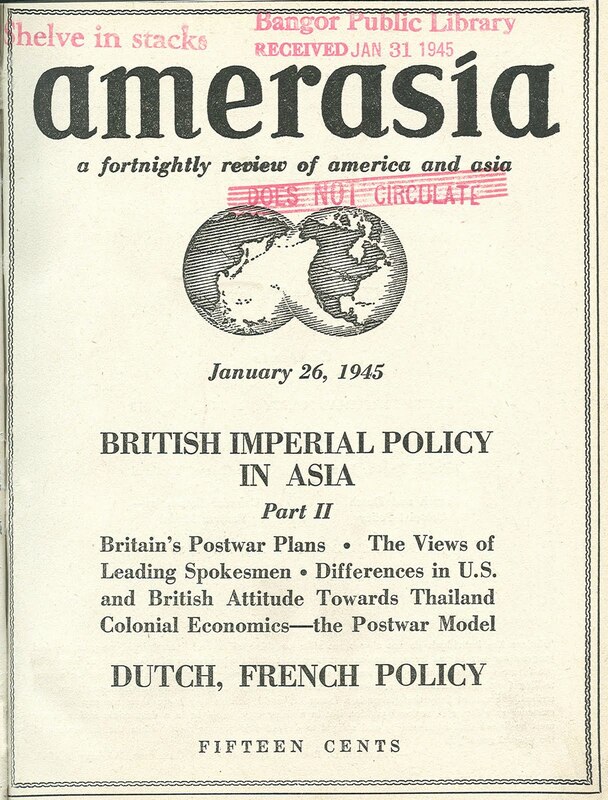 In early 1945, Amerasia Magazine published the title article above. It was a top secret document that had been purloined and leaked, most probably by John Stuart Service. The FBI then raided the Amerasia offices and found a huge cache of top secret material. Unfortunately, the case against Service was botched and he never came to appropriate justice. In fact, he was reinstated and later wrote extensively in his own defense. 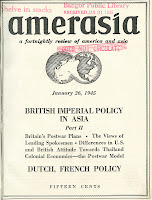 The notorious Joseph McCarthy used the Amerasia leak in his red-baiting rantings in the early 1950's. A lot different than the current environment. The Amerasia leaks were quite similar in importance to those recently found on Wikileaks. Perhaps we've learned our lesson. Perhaps not! FDR has once again made the news with the "discovery" of the sequestered Grace Tully papers, the former archive of the disgraced FDR biographer Conrad Black, currently imprisoned. Black's excellent, exceedingly long volume was published by Public Affairs, the same house that published our book. Hightlights of the "new" material include a letter to FDR from Mussolini, a nice letter from Joseph Kennedy and a letter expressing great concern for FDR's health by Lucy Rutherford, in which she arranges her last visit to Warm Springs. It is no secret that Tully knew about Lucy. In fact she mentioned her neing in Warm Springs in 1948 and no one picked up on its significance. The Chicago Tribune knew about Lucy's presence in 1948 and sat on the story until Jonathan Daniels' 1966 article in LIFE. I don't expect anything significant in the remainder of the archive with respect to FDR's health though it will be fun to go over some fresh material. We are quite correct in our book about the reality of the situation and it will take a while until it sinks in so that mainstream historians come on board. It will happen- just a matter of time. No credible medical professional has yet to puch a hole on our thesis. 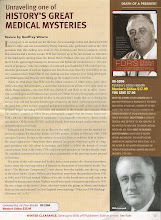 FDR most probably died of a brain hemorrhage into a metaststic melanoma- period. This blogger would be most receptive to presenting a personal lecture at any academic venue.